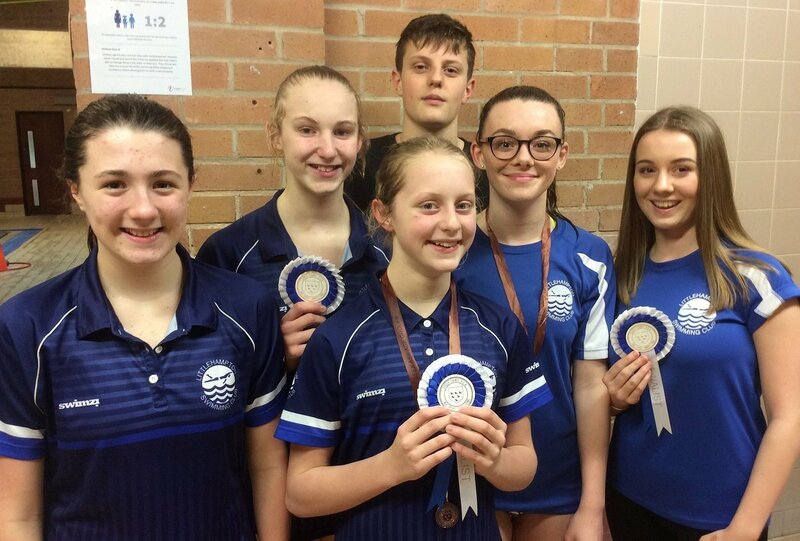 Our long distance swimmers have got this years counties off to a great start with two bronze medals, one silver and 3 rosettes! The first weekend saw William Le Merle, Ella Napier and Ella Thornburg compete in the 1500m event. Will looked in complete control with his race. It was well paced, holding nice long strokes throughout. A good 8 second long course PB saw Will win Silver in a time of 18:39.56. The girls had not swum this event long course before, but both put in good solid performances. Ella T achieved her regional base qualifying time with a Bronze medal in 20:19.74. Ella N won a rosette, finishing in 8th place. Last weekend was the turn of the 800m event which saw Amber Brown, Jessie Brown, Ella Napier, Abigail Pendleton and Ella Thornburg all compete. For Abi this was her first experience of swimming the event long course. It was a beautiful smooth swim which looked technically very proficient and was even paced. A great first effort! Jessie had a great start. She swam well and managed a small PB, winning a well deserved Bronze in a time of 10:14.93. Her sister Amber was delighted to win her first county rosette in 6th place. Two more solid performances came from the Ella’s, with Ella T swimming a 43 second LC PB to win a rosette for 5th place.